Would You Like a Bright and Clean Car? Cleaning your car requires time and effort that you would rather spend on doing other things. As well as that, you know a simple hand car wash and valet in your local parking lot will not achieve the same results as a professional one. At The Whale we provide professional valeting services that are quicker, safer and of a higher quality than hand car washes, combined with our state-of-the-art machine and our expertise in interior car cleaning. By taking advantage of The Whale’s Valeting services you can enjoy a rejuvenated car at an affordable cost. 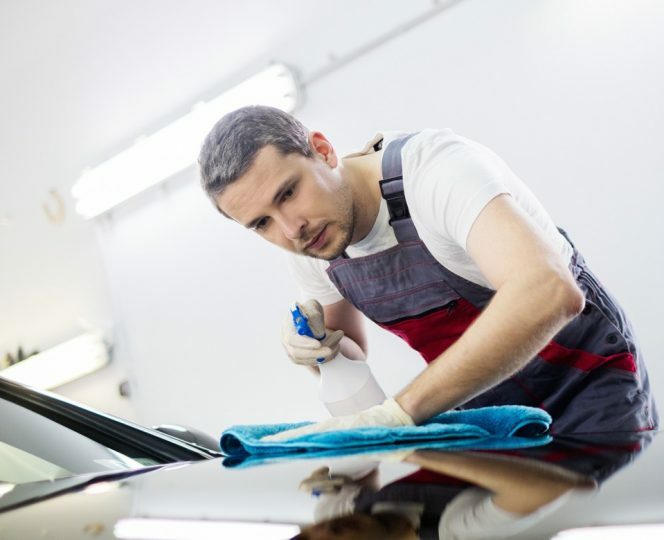 All our Vehicle Detailing services come with a guarantee. We’ll make sure your car is valeted completely, or we’ll redo the job until you are satisfied completely! If two identical cars were being sold, one was clean and one was dirty, the clean one would sell for more. Our valeting services can help you improve the chances of a sale and the total amount it goes for by impressing your potential customer. By cleaning and rejuvenating your car inside and out, The Whale can prevent potential customers being scared off by dirt and grime, making your car look and feel cleaner. A car’s interior can be a harbour of dust and bacteria. Our interior valeting is designed to promote better health in your car by deep-cleaning. A car is part of your image and effects the impressions that employers, friends, family and clients have on you. Having a clean car can leave the right impression at the key moments in life, such as weddings, job interviews and meetings with your clients. The state of your car can have a personal effect too, with a cleaner car giving positivity and confidence. Book Your Valet Easily, Use the Booking Form Below! Please note: prices are for standard cars with up to 5 seats only. Dog hair, bodily fluids, and vehicles larger than 5 seats and vans may incur a surcharge.